4GiftPack offer custom hot stamp foil printing on our solid color tissue paper. 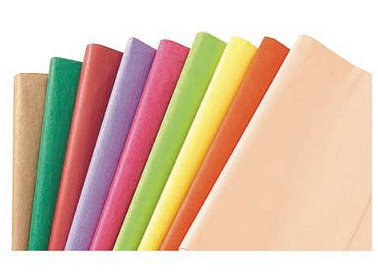 Colored Tissue Paper at 4GiftPack.Com is produced with 60-65% recycled material, including over 50% of post-industrial material and 10% post-consumer material. This tissue paper is printed with environmentally friendly soy inks - our waxes tissue paper comes in solid colors with a waxed, water resistant finish. 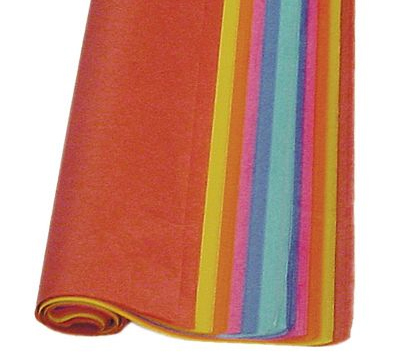 This paper is extremely popular with florists, especially the 24" x 36" assorted pack!